On Wednesday, House Speaker Paul Ryan announced his impending retirement from Congress after 19 years on Capitol Hill, and multiple names have already surfaced as possible replacements for his seat. But chief among them is Paul Nehlen, a white nationalist, who has GOP leaders concerned he may win the nomination. Ryan, 48, has been Speaker of the House since October 2015 and will retire when his term ends in January, which means he won’t seek re-election in November’s midterms. A few candidates have already tossed their names in the hat to take Republican Ryan’s seat in Wisconsin’s First Congressional District, which has long been a conservative part of the state. Donald Trump won that district by more than 10 points in 2016, although Barack Obama also earned the most votes there in 2008. Ryan is one of several House Republicans who have announced in recent months that they won’t pursue re-election in November. Others include South Carolina’s Trey Gowdy, Pennsylvania’s Patrick Meehan, Tennessee’s Marsha Blackburn and Texas’ Blake Farenthold. One of the biggest conservative candidates vying to challenge Ryan is Nehlen, a white supremacist and anti-semite who previously ran against the current House Speaker in 2016 but lost by a 68 point-margin. Nehlen said he supports deporting all Muslims from the United States, is vehemently against free trade, and also hopes the country will one day strengthen its southern border. Nehlen had his Twitter account suspended in February following his posting of a racist photo of Meghan Markle, the American woman who is set to marry Britain’s Prince Harry in May. Wisconsin’s Republican Party severed ties with 48-year-old Nehlen not long after this incident. 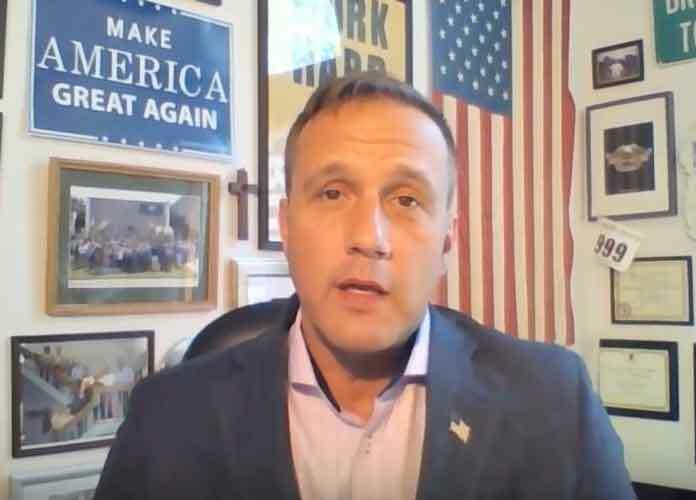 Nehlen has appeared on controversial conservative commentator Alex Jones’s radio program Info Wars, among other places. Also looking to replace Ryan is Democrat Cathy Myers, a schoolteacher and board member of a school district in Wisconsin. Myers supports LGBT rights, and also favors universal health care and stronger gun control. The Federal Election Commission reports that Myers raised $265,000 through the end of 2017, approximately $100,000 more than Nehlen. Besides Myer is another liberal hoping to replace Ryan, ironworker Randy Bryce. An army veteran, Bryce has often denounced Ryan on left-leaning cable news networks. Bryce supports increasing the minimum wage, empowering labor unions and instituting universal health care. Despite three failed runs in previous local and state elections, Bryce raised $2.7 million through the end of 2017, according to the Federal Election Commission. Finally, another conservative is looking to fill Ryan’s seat: Nick Polce, a rookie candidate who is a former Army Green Beret and who is a hardliner on immigration.